After working a string of behind-the-scenes jobs — including writing songs for Brandy, singing backup for the Sugababes, and impersonating Elvis — songwriter/producer Bruno Mars put his name on top of the charts in 2009 by co-writing Flo Rida's hit song "Right Round." One year later, he collaborated with rapper B.o.B on “Nothin’ on You,” and co-wrote Travie McCoy's "Billionaire," both of which became Top Ten hits. Mars used that momentum to launch a solo career, quickly becoming the first male vocalist in two decades to crack the Top Ten with his first four singles. 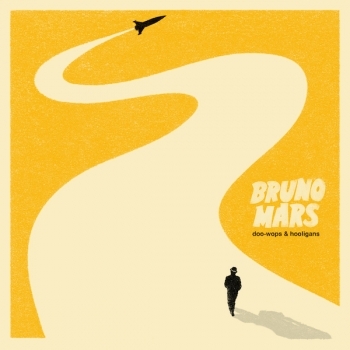 In 2010, he released "Doo-Wops & Hooligans", Mars' full-length debut, quickly producing a number one single, "Just the Way You Are." In 2012, Mars both hosted and performed as a musical guest on Saturday Night Live, debuting tracks from his upcoming album Unorthodox Jukebox, which was released that same year, and featured the lead-off single "Locked Out of Heaven," along with production from Mark Ronson, Diplo, and others. "Locked Out of Heaven" topped the pop charts, and the album reached number two in the U.S. (The second single, "When I Was Your Man," also hit number one.) All that success made Mars a natural for one of the world's most prestigious gigs, the halftime show for Super Bowl XLVIII in February 2014, where he performed with Red Hot Chili Peppers as a musical guest and drew record ratings. Also in 2014, Unorthodox Jukebox won a Grammy Award for Best Pop Vocal Album.